Spray Room from the firm Culti Milano. Content 100 ml. A look at the open sea. To embrace the bay with the view, the mountain that glides towards the blue, with villages stamped as if they were a work of art. A place of natural elegance and fervent, almost physical energy. Liveliness. A decisive and spicy opening in which penetrating cilantro is distinguished, a fine citrus like bergamot and aromatic herbs. The elegance. A masculine amber is linked to the creaminess of sandalwood in a final brimming with energy. The force of the rocks. 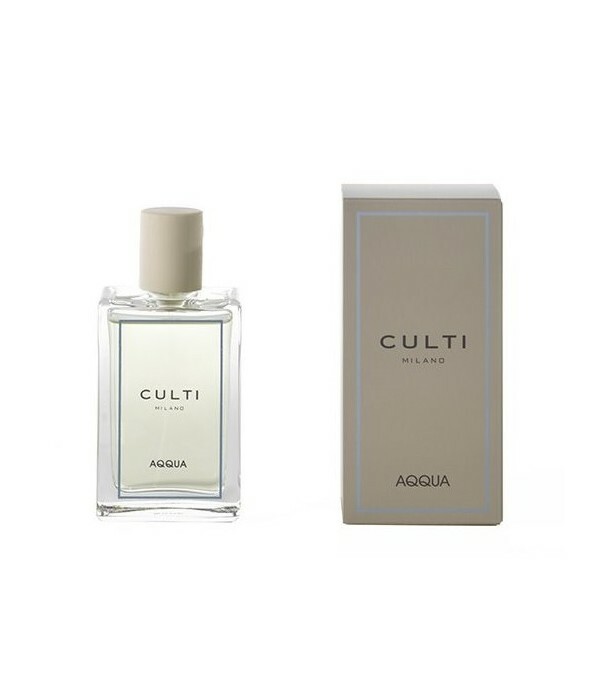 The stimulating effect of coriander, the independence of bergamot, the carefree sandalwood. Creation of Esteban Parfums, which recreates a magical and elegant middle with its sparkling and spicy note, notes of citrus, spicy and floral, and background on sandalwood, amber and tonka notes.